The ACE Plumbing & Heating One-Year Warranty is designed to provide all of our clients with the utmost peace of mind, and the assurance that all of our workmanship will be rock-solid. Should you ever experience any issues due to workmanship, we will repair the defects free of charge. If you have a malfunction or defect with one of the products we have installed, we will work with the manufacturer to ensure that the factory warranty is honored. That’s the stand we take as we seek to provide our clients with complete confidence in what we do. ACE Plumbing & Heating service, installations and/or repairs to your plumbing and heating systems are under warranty to be free of workmanship defects. Most parts we install have separate manufacturer warranties that cover their durability and quality. ACE Plumbing & Heating's warranty lasts for one year from the date of ACE Plumbing & Heating's service, installation and/or repairs. To obtain the benefits of this warranty, please call 250-861-6696 and we will schedule a time for a service technician to inspect the warranted workmanship. Workmanship defects under warranty will be repaired at no charge. Failures due to misuse, abuse, or normal wear-and-tear are not covered by this warranty. ACE Plumbing & Heating shall not be responsible for any incidental or consequential damages. Products sold in conjunction with service installations and/or repairs are not covered under this warranty. Most products we sell come with separate manufacturer warranties, and we are happy to assist our customers in working with the manufacturer to ensure that the warranty is honored. ACE does not cover work done by third parties. How Local Laws Relate to the Warranty? Some areas do not allow the exclusion or limitation of incidental or consequential damages. The above limitation or exclusion may not apply to you. 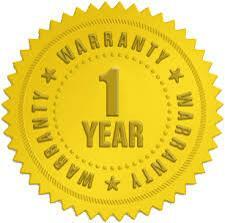 This warranty gives you specific rights, and you may also have other rights, which vary, province to province. This warranty is the sole and exclusive warranty for ACE Plumbing & Heating's workmanship. No employee, agent, dealer, or other person is authorized to alter this warranty or to make any other warranty on behalf of ACE Plumbing & Heating.